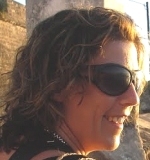 Dianne Thomas is an English teacher, freelance writer and renovator of an old, village house! She has traveled and worked in Europe for a number of years and now divides her time between London and Bulgaria. Check out her Travel2Bulgaria blog and her photos on Flickr. Being tempted by the cheapness of a property isn’t always what it’s cracked up to be as it probably means re-wiring a whole house, installing plumbing system, let alone a new bathroom and kitchen and getting things just right so you can call it your home and put your own stamp on it. Furthermore, having to deal with builders, electricians and plumbers in a language you don’t understand can lead to frustrations. But these aspects don’t outweigh our freedom to live rustically by growing our own food and being out in clean, fresh air, away from the stresses and complications of modern life. But what happens when you do decide to renovate? Many people I know have bought their property years before they made the permanent move to the area and this allowed them the time to renovate the building to their specifications so when they did plan to come out, they only had to bring their worldly goods and move straight in. The minor remaining jobs were completed after they moved. Of course, there are plenty of options to buy a fully restored house but where is the fun in that when you could be designing and getting creative with your new home? Just in the last ten years, larger towns and cities have seen a huge increase in supermarkets, shopping malls and imported goods, even in the less touristy districts. Access to private medical insurance, business opportunities and education has become common practice providing a relief to the concerns of thousands of expats descending here. Bulgaria is not without its problems, socially and economically, but these issues are slowly being addressed to the benefit of both the Bulgarian people and expats wishing to join this friendly nation. Having spent time here for more than five years, our initial decision to buy a home here has not been regretted once; in fact, the more we stay here, the more we enjoy living in our newly adopted country. It interests me. Im from India and planning for a retirement in eastern europe. Can anyone help me to know the medical facilities thats available there in Bulgaria. My favored place will be Verna. Hi.plz send me informations and requirements for retirement in bulgaria.I am a doctor from pakistan.thank. Can somebody tell me the average temperatures in the summer and winter. Also is there snow along the coast and do houses generalyl have central heating? I am a US Citizen, and I have plans to retire in Bulgaria in less than two years. Can you give me the requirements of a Retiree Visa? I know I can go and spend 90 days there without problems, but am looking at getting a Retiree Visa. Any information on the same would help. My wife and I have two properties in Bulgaria, one is a villa in the mountains about 60km north of the capital, Sofia, and the other is an apartment in Veliko Tarnovo. We love both of our properties, even though they are very different and they are in different locations. Yes, Silaaditya Ganguly, there are plenty of hospitals and doctors in Bulgaria. Sometimes the hospitals look a bit tatty and run down, but the medical staff seem to know what they are doing. Yes, the paperwork needs to be sorted out, if you are not an EU citizen, but again there are English-speaking lawyers in Sofia who can sort this out for you. Yes, Joyce rousselot, there is some SERIOUS snow in the mountains, sometimes more than a metre! Rural houses usually have wood-burners and thick walls to keep you warm, but we also had some external insulation added to our house. The American Embassy in Sofia might be the best place to find out about a Retiree Visa, Joe Chiti.